If you ever wondered, how do you know if there is a water leak? Water damage shows itself differently on every surface. On drywall there is discoloration and eventually with too much water for too long it will disintegrate and make a hole in the drywall. In this picture the water is right next to an light which houses electricity. Special care has to be taken dealing with electricity and water! When there is a fire, a variety of materials are burning, some natural, chemical, synthetic... After a fire the burning of synthetic materials create what are called smoke webs. 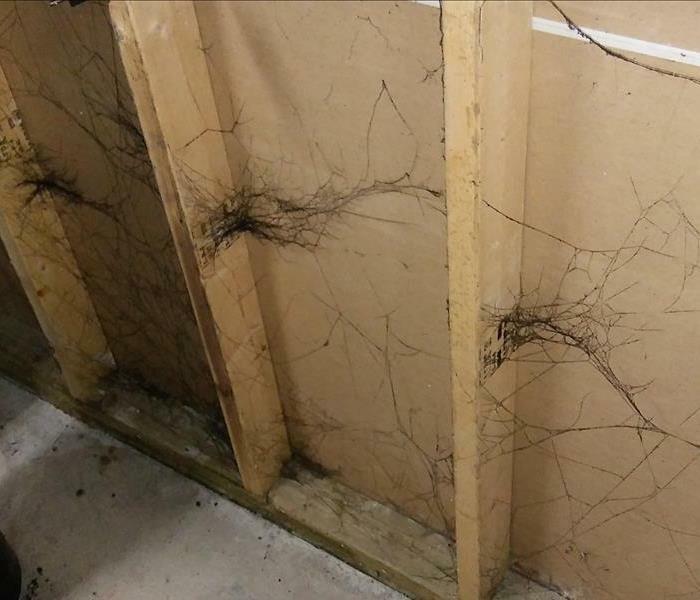 These appear like spider webs but they are sticky and will smudge easily. When you call SERVPRO of East Central Waukesha County, we have all the cleaning supplies that help to clean-up fires, even those stubborn little smoke webs! Homeowners acted quickly to get us out to their water loss that affected their hardwood floor. 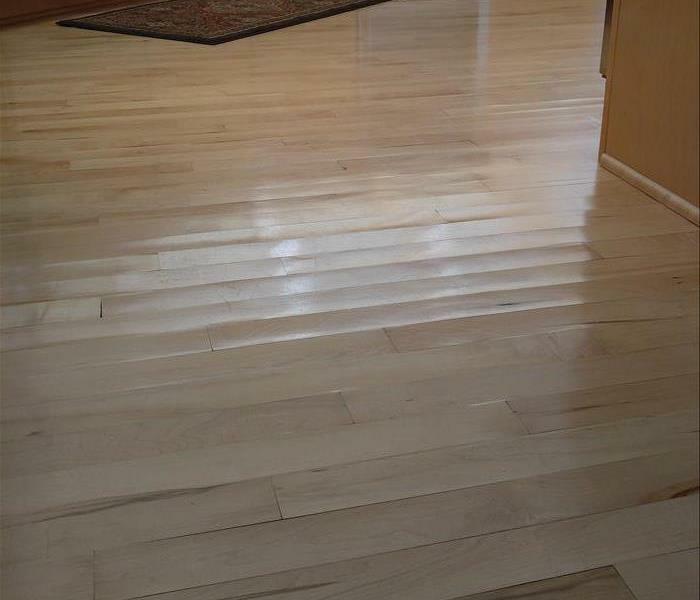 We used injectidry system to dry the floor in place to save the flooring and money! 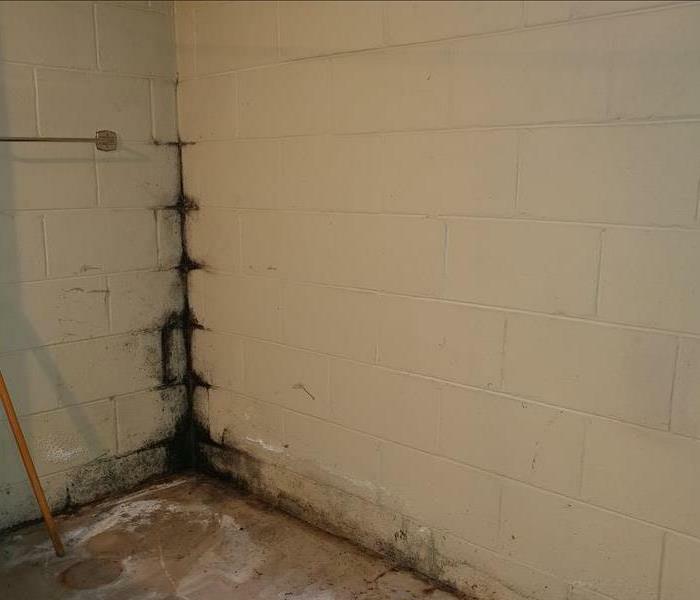 We all know and love that basements seem to be the place for water, moisture and mold, ESPECIALLY in those corners. Consider a dehumidifier if your basement has a humidity level higher than 50%. If you already have a dehumidifier please DOUBLECHECK that yours is not on the recent dehumidifier recall list! In this loss there was a fire on the stovetop that made for just a little fire damage but very extensive smoke damage through the home. SERVPRO of East Central Waukesha County mitigated and our project managers and carpenters tackled the rebuild job. 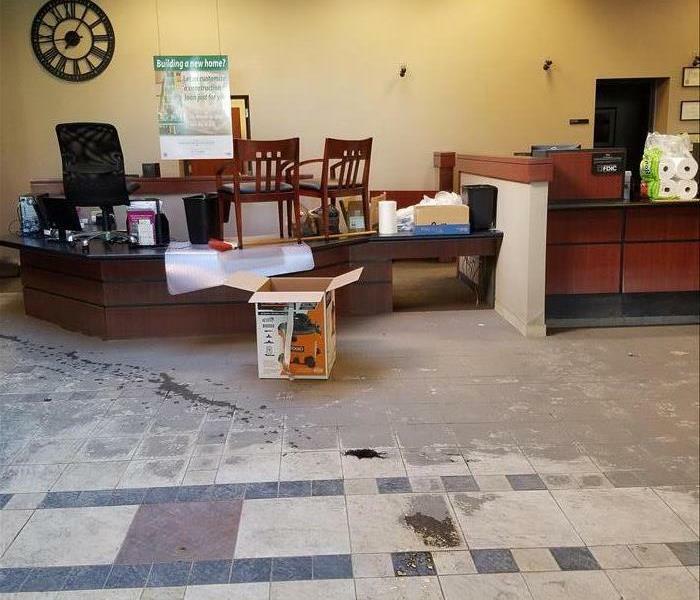 During a storm event, in Burlington, WI, SERVPRO of East Central Waukesha County was called in to help with the clean-up at a local bank. After the storm waters receded they were left with a muddy mess. SERVPRO mitigated so that they could be back in business after 4 days! Mold can pop up anywhere even behind cabinets where there has been no known water loss. In this mold remediation all around the cabinets had no high moisture readings but inside the cabinet was a different story. SERVPRO of East Central Waukesha County had to remove the cabinets and drywall to remediate this mold mess. 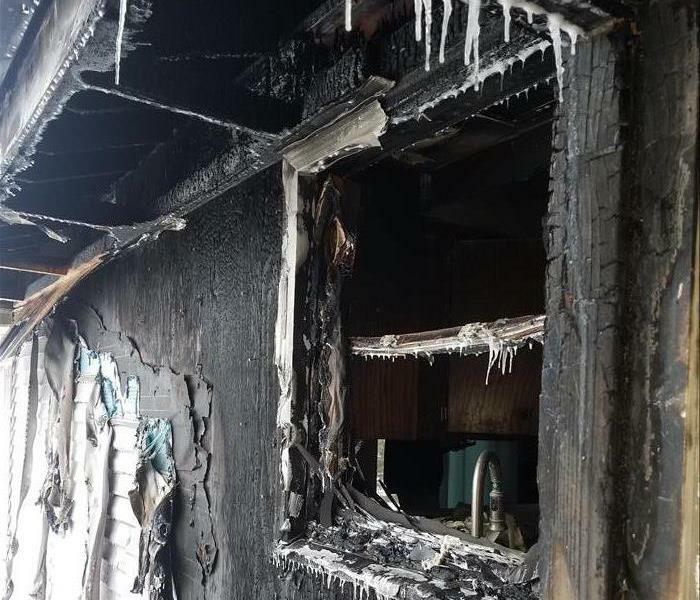 Fire clean-up is difficult and time-consuming but in winter there are extra factors that get in the way. Along with the damage, water to put out the fire can freeze and the house may not be able to get heat restored for awhile to make frozen pipe breaks another issue. 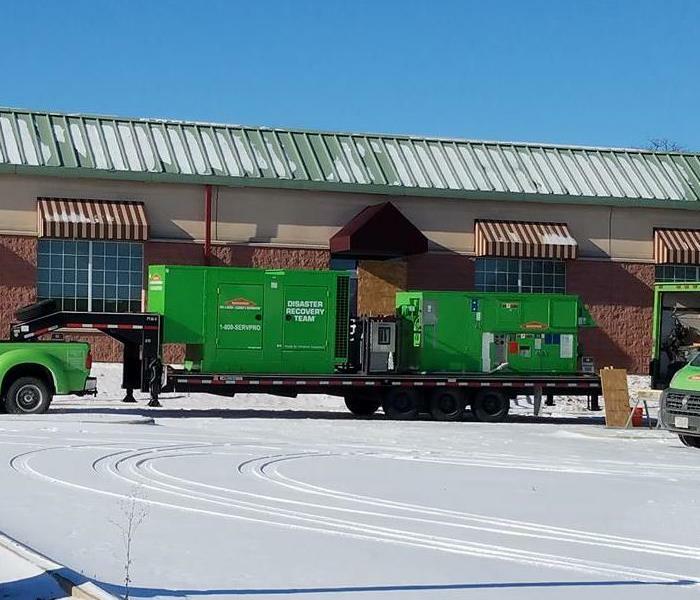 SERVPRO of East Central Waukesha County has a franchise desiccant that is used for large commercial buildings in where there has been a water loss. The Desiccant helps to pull all the moisture out of the buildings to dry them quickly. 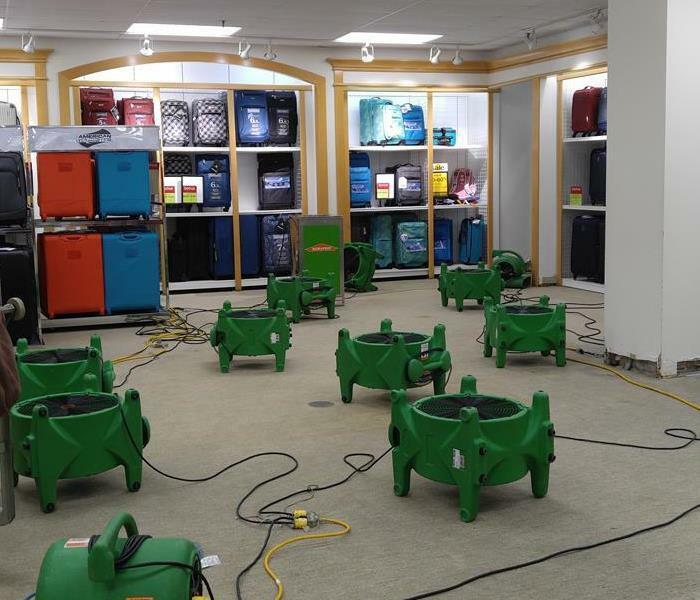 SERVPRO of East Central Waukesha County understands the need for businesses to get back up and running as quickly as possible and the use of the desiccant can definitely do that. SERVPRO of East Central Waukesha County along with wonderful mitigation and cleaning services has a rebuild department. 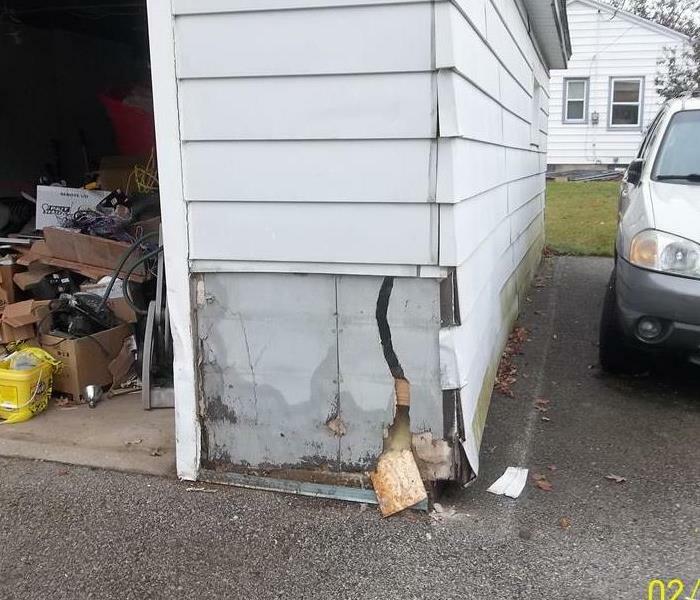 Whether it is paired with our mitigation services or on its own (like the car vs garage picture) we can take it on. With our 4 full time project managers and carpenters we can take on any rebuild projects to make it "Like it never even happened." Air Movers are a necessary part of every water loss. This loss required water extraction and then air movers and dehumidifiers to remove the moisture from the carpet that ended up being saved! For mold jobs, Personal Protective Equipment (PPE) and Containment is our top priority. 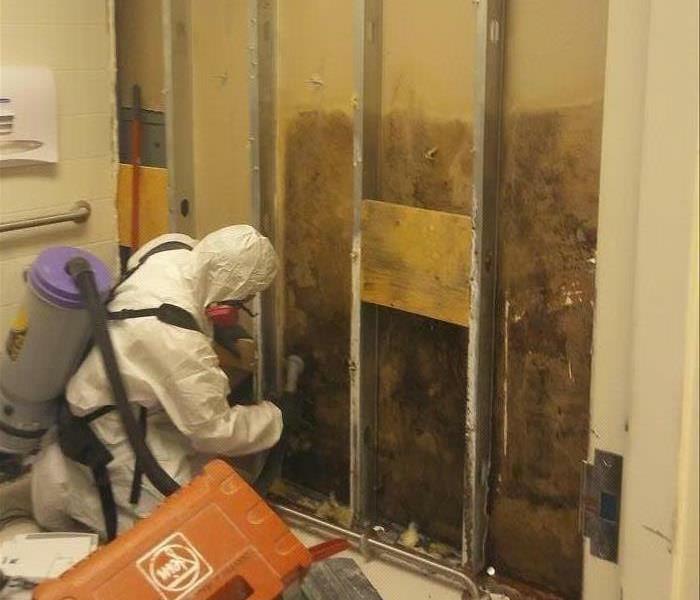 We make sure that all our technicians are protected with PPE and the containment makes sure our customers are protected from any mold spores travelling to other sections of their building and finding a new place to hang out. PPE consists of suits to cover all clothes and skin and a respirator that is fitted especially for each tech. By any chance have you seen our SERVPRO stars Stormy & Blaze on our TV commercials? 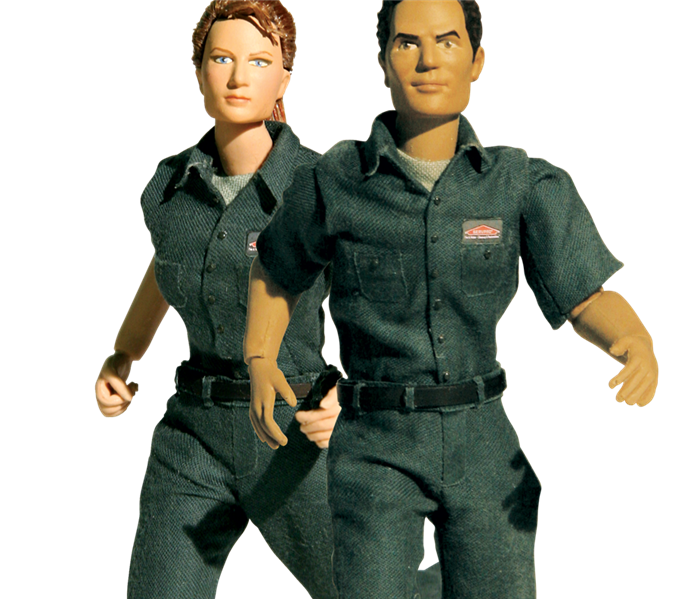 They are always ready to tackle the biggest, messiest jobs. Check out their videos online! Mold can be obvious like in your shower or it can hide. In this case the mold was hiding behind some cabinetry and lockers. If there is an area with high moisture and a musty smell be sure to be diligent and check for any mold hiding spots. SERVPRO of East Central Waukesha County had a very muddy experience at a warehouse in Green Bay that had water and mud rush into their warehouse and adjoining offices. We had everything cleaned up in a few days! A fire in Cedarburg created along with the mess of fire and smoke but massive amounts of insulation that came down over everything. SERVPRO of East Central Waukesha County completed the mitigation, contents cleaning and full rebuild. SERVPRO is the Official Clean-Up and Restoration Company of the PGA TOUR. We are excited to have one of the premier PGA golfing events in 2017 at Erin Hills just outside Milwaukee area. 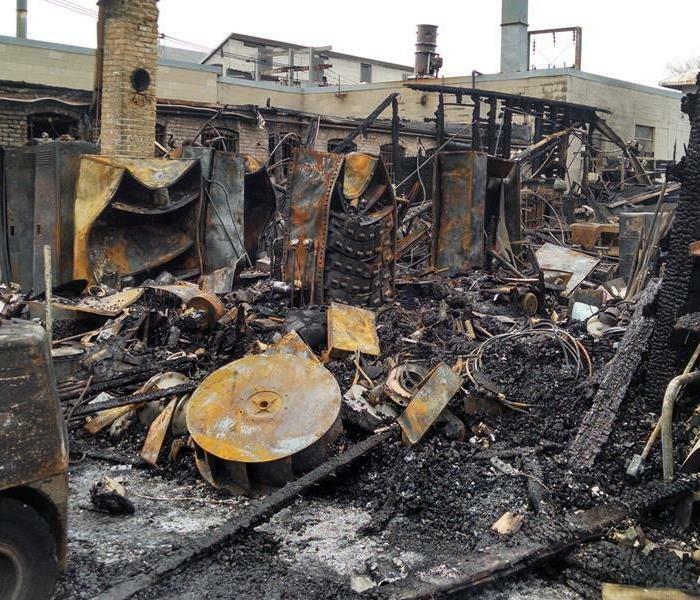 SERVPRO of East Central Waukesha County's Large Loss team was the project managers for a commercial fire in Eau Claire. The warehouse required cleaning and it was finished in less than a month with the business still at work while we worked. SERVPRO of East Central Waukesha County is Located in Menomonee Falls, WI just off of Interstate 41 and Pilgrim Rd. Our franchise can do work in the entire Milwaukee area. No job is too small or large for our franchise. This fire destroyed a maintenance building and also impacted a lunchroom, locker room, lab and foreman's office. SERVPRO of Milwaukee North spent over a month working on the clean-up. SERVPRO of East Central Waukesha County is part of the Large Loss SERVPRO Response Team. We have dedicated Marketing reps and crews in the field every week day along with an on-call crew ready 24/7. We are able to help in the smallest or largest jobs around. 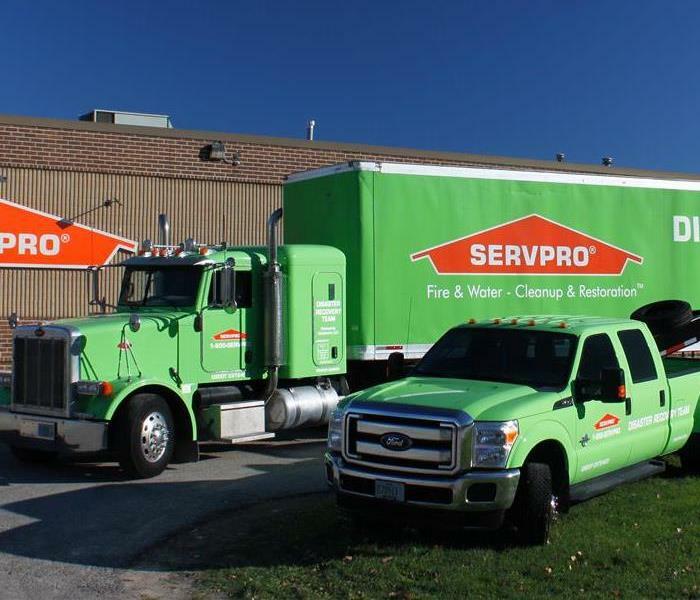 SERVPRO of East Central Waukesha County is located in Menomonee Falls, WI and is part of the designated Large Loss SERVPRO of Wisconsin. We have all the tools to do large commercial losses all over the state.